What can I beemind with GitHub? 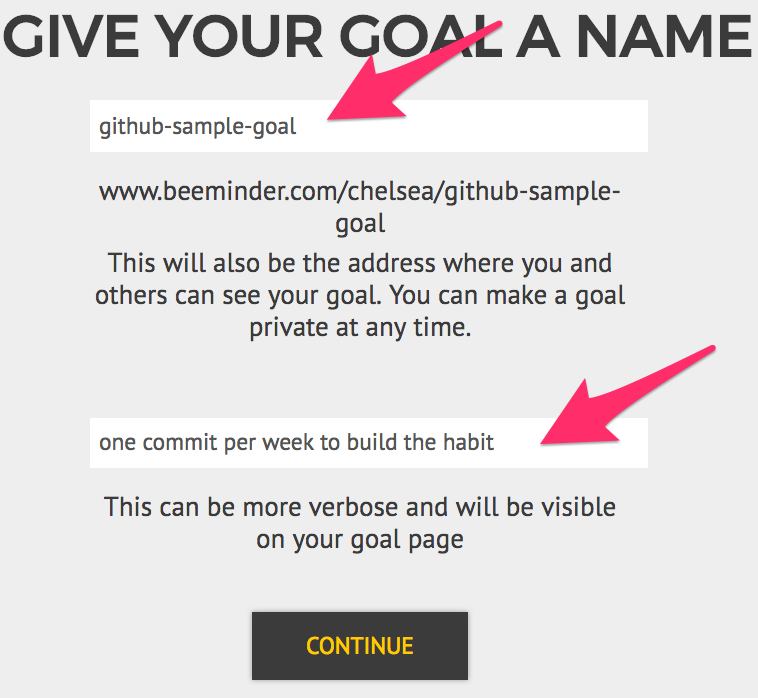 Gitminder goals are Do More goals that track either commits or issues closed. You can choose to track all your activity across all repos, or just activity in a particular repo. Can I beemind work on a private repo? Yes. If the Beeminder application has access permissions granted, that should not be a problem. You can check the permissions when signed into your GitHub account. Beeminder isn't adding my recent activity to my goal. 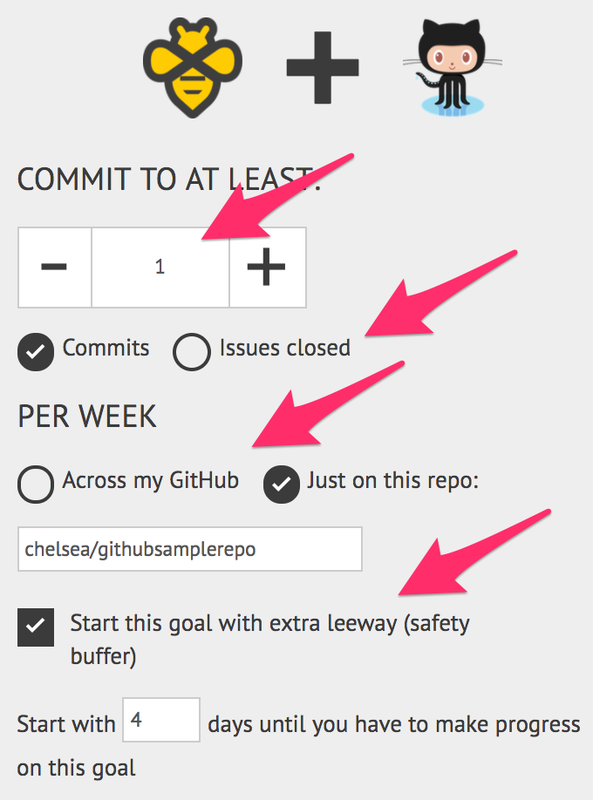 Commits were made to a different repo than the one your goal is tracking. Your commits were not signed with an email address tied to your GitHub account. You can check the emails associated with your account. Beeminder does not have permission to access the repo containing that activity. You can check the permissions. Commits were made to a non-master branch. Beeminder only looks at activity on the master branch. Your GitHub-Beeminder authorization has failed. You can revoke and reauthorize it. You should see a banner across the top of the goal page if this is the case, and we'll send you an email with the same info! 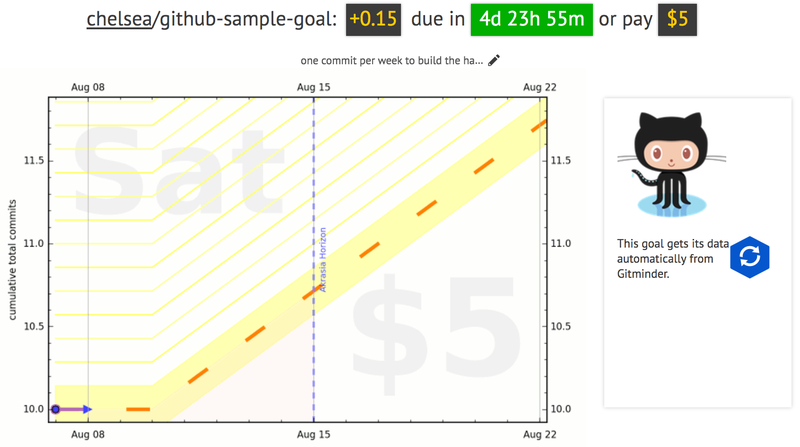 Click the GitHub icon to start a new goal using GitHub data. First, select the metric you want to track: commits or issues closed. Enter the amount that you want to commit to in the +/- stepper. Finally, decide whether you want to track all of your activity, or only activity on a specific repo. If you choose to track a specific repo, enter it in the text box below the radio button using the form shown below. And that's it! If I don't add at least one commit to the repo in the next 4 days, I'll be paying Beeminder $5.